As part of the Top Global Teacher Bloggers/ CMRubinWorld.com/Global Search for Education http://www.cmrubinworld.com/TGTB here is how Marjo Rantanen, principal of Kartanonranta school in Finland, writes about this month’s question: Taking climate change seriously. What are your best tips for teaching about climate change in your classroom? Our dear Planet keeps giving us so much! Are we treating it with the gratitude it deserves? Every teacher in every classroom should a knowledge his and her obligation to make every student aware of their possibilities in keeping our planet clean, safe and well also for the future generations. What are the values in the core curriculum? Do they support sustainable development and eco-social education? The leading idea of eco-social education is to create the kind of life where ecological, financial, social and cultural aspects are valued and the understanding of seriousness of climate change is acknowledged. Is the effort for sustainable way of life written in the curriculum? Luckily, in the National Core Curriculum in Finland these are all found. The curriculum is a good basis but it is what happens in the classroom what makes the difference. Knowing how this planet works is essential in knowing how polluting and cutting down the rain forests for example are affecting it. Some of our students made a case study of the life-cycle of a plastic bag. They made a survey among the students asking how many times a single plastic shopping bag is used? They studied which countries use the most plastic bags and why. 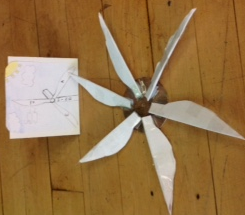 They learned how to draw diagrams, they studied what they are made of and how. They learned presentation skills and they raised a lot of awareness among the other students. All that and more out of one little plastic bag! Tip #3 What does your classroom look like? Does your classroom have recycling bins for paper, cardboard and general waste? Does the teachers’ lounge? Where does the waste go to after it’s collected? Whose job is it to empty the recycling bins? What kind of tasks do your students have in the classroom? Is it possible to take your students on a field trip to a recycling centre? Simple questions but the affect on climate change does start from simple things. Are there “Climate Change Agents” in your class or school who can promote these ideas within the class/school? Is all the photo coping essential? In Finland our students get a free lunch every day. And yes, it’s a hot meal served in school restaurants, eaten with the supervision of teachers who at the same time, teach them polite ways to eat and conduct decent conversation. Do the students appreciate this free meal? Apparently not enough. Over one million portions of food goes to waste daily in schools in Helsinki area, only! There must be ways to tackle this! Of course the producers are minimazing the excess by trying to make just about the right amount of food each day. The teachers are constantly explaining why you shouldn’t throw any food to waste. One company who makes the school lunches has even developed a program which collects the excess food and delivers it to those in need; homeless or those in greatest need in our society. Look for someone outside school to work with! You can also take part in larger programs like we did. Our two year Erasmus+ programm called Innovative and Entrepreneurial Solutions to Climate Change challenged our students to look at political programs tackling climate change in three different countries (Finland, Scotland, Germany). The students innovated and produced their own products which were then evaluated in the “Dragon’s Den” in their country and finally presented to a possible producer. Many of the products tried to find alternative solutions to power supply. See the picture below! You can start big or small. Your students can bring their own water bottles to school. You can stop using plastic plates or cups in the cafeteria. 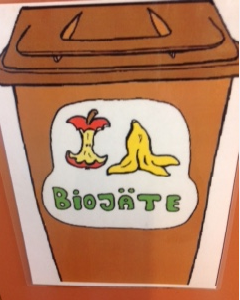 You can show initiative in the teachers’ lounge by setting up recycling bins. You can start by showing example. http://marketing.pathstomath.com/wp-content/uploads/2013/04/paths_to_math_logo_340x156.png 0 0 Maarit Rossi http://marketing.pathstomath.com/wp-content/uploads/2013/04/paths_to_math_logo_340x156.png Maarit Rossi2018-03-20 05:27:112018-03-20 05:28:00Taking Climate Change Seriously. What are Your Best Tips for Teaching about Climate Change in your Classroom?